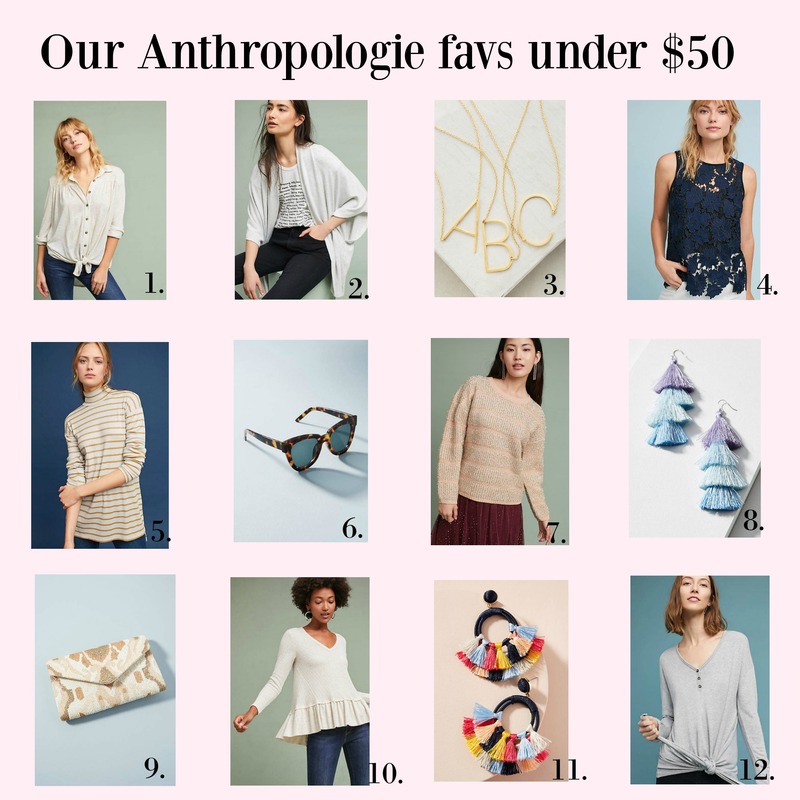 In light of our fun $500 Anthropologie giveaway this afternoon I thought I’d round up some of our current favorites. They are all on sale and under $50! All of these items will carry you well into the spring/summertime. You can shop the pic below by clicking the direct link. Happy shopping friends! You can also shop these pieces below by scrolling left to right. Check out more of our favorite pieces for a casual Valentines day look, here!